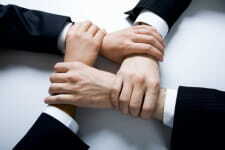 Which is more challenging: internal intra-team negotiation or external client, vendor or partner negotiaition? The answer to this question really depends on the situation surrounding the negotiations. Lets explore lesser discussed of the two negotiation:s internal or intra-team. What do you need to bear in mind when preparing for internal or intra-team negotiations? Your success in intra-team or internal negotiations will all too often float or sink depending on how well you've prepared for your stakeholders or colleagues. These factors include: the relative strength of each person or team, negotiating styles, issues, positions, interests and personalities of the people involved. Unless you have prior negotiating experience with the company/organisation and/or the stakeholder, you risk not anticipating their moves and not understanding their motivations. In-depth research and preparation can help to identify their needs and wants. You'll get to test the accuracy of your research once your negotiation kicks off. You might end up facing an aggressive distributive style negotiator who seeks to extract the best possible deal at your expense. Additionally, you might face a negotiator who employs an array of various gambits and tactics that borders on the unethical. On the other hand, you might be facing an integrative negotiator who actively seeks a collaborative business partnership. In this scenario, the negotiating parties will likely strive to build a business relationship premised on trust and durability. This form of negotiation poses its own challenges and does not mean that the negotiation will sail your ambitions smoothly into a safe-harbour. Divergent interests and opinions usually results in a lively negotiation process. Both parties will be engaged in making trade-offs, taking and making concessions and trying to create the best possible value for their constituents. 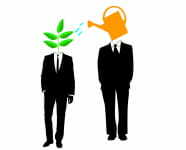 Most negotiations usually contain elements of both distributive and integrative negotiations. The challenge posed by intra-team or group negotiations is also dependent on a variety of factors. On the one hand, you are dealing with an entity and individuals that you may know well or at least possess some degree of familiarity. On the other hand, familiarity may act as a deterrent to productive internal negotiations within a company or organisation. One of the biggest obstacles to productive group negotiations, and the bane of many an organisation, is the counter productive reality commonly known as "office politics". This practice often entails a varying degree of back-biting and political infighting. Some department heads will actively vie for the limited resources to be allocated between departments. Coalitions, corporate ambitions, self serving interests and personality clashes may also impact how group negotiations are conducted. 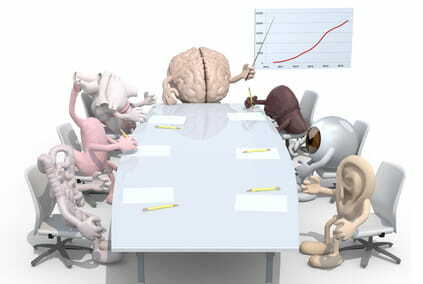 The effectiveness of group negotiations and how they progress often depends on the organisational philosophy or culture. A company's structure can be hierarchical or collaborative. Also remuneration and bonuses are usually departmental or team focused. The decision making process could rest in the hands of a single individual or a Board of Directors. Each of these factors will cause a bias in decision making and decision makers. These are just a few of the factors that will influence the success or lack of success of group negotiations.